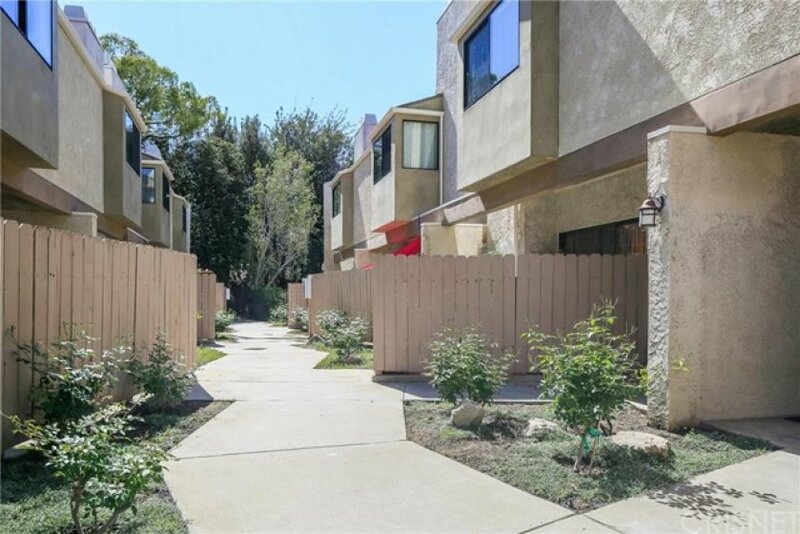 Extremely spacious, 1,750 sq feet (per assessor) Tarzana 3 bedroom, 2.5 bath end unit townhome with attached garage features laminate flooring, smooth ceilings and recessed lighting in the living room and master bedroom. The large living room with fireplace and high ceilings leads to the formal dining area with wet bar and kitchen with stainless steel appliances. There is an atrium off of the kitchen which is perfect as an office or additional patio. The master suite with a romantic fireplace features a walk-in closet, an ensuite bath with a shower stall and separate tub. Separate utility room. A large patio is perfect to enjoy those summer nights. Private attached garage with direct access. Brand new heating and air conditioning system. This wonderfully maintained development features a pool, spa and barbecue area.